Combine Our HP Series Packaging Tapes with PrimeLoc™ Automatic Tape Applicators for Better Performance and Efficiency. You know the value of uptime. We know you demand packaging equipment that will help you achieve line efficiency and secure seals everytime. It’s why we designed ShurSEAL Automated Packaging Solutions to enhance your case sealing operations. Maintenance of faulty units, slow tape roll changeovers, and faults on the packaging line can be costly to production efficiency and overall equipment effectiveness (OEE). 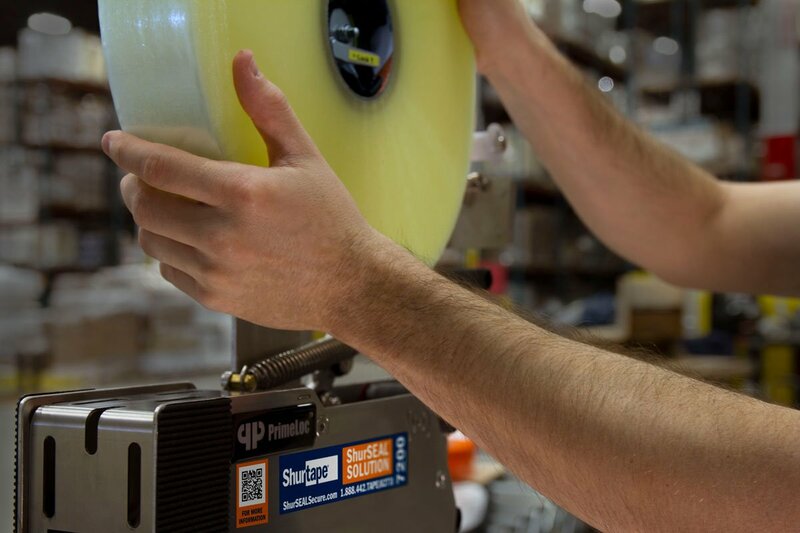 ShurSEAL Packaging Solutions offer several design features that improve application of packaging tape and increase uptime to keep you working at peak production. ShurSEAL Packaging Solutions deliver unmatched wipe-down force, which allows for full utilization of the tape’s adhesive. Combined with a packaging tape that’s Good to the Core®, you won’t be throwing money in the trash. Increase Safety and Content Security. Patented Folded-Edge® Technology reinforces seal strength as tape is applied to keep product protected during storage and transit. An additional feature of folding the edge of the tape is the creation of a ready-to-open case seal that doesn’t require a knife or other sharp object to open, further protecting your product and those handling it. Workers are also shielded from knife cuts during rethreading and maintenance of the tape applicator via a safety blade that helps to prevent accidental contact. In fast-paced, high-volume manufacturing environments, there’s no time for downtime. 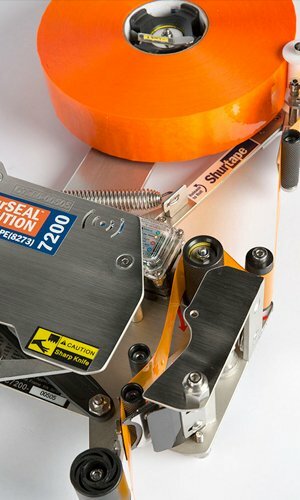 So, we’ve built upon the technology available with the original ShurSEAL Packaging Solution to create an innovative sealing system that puts an end to laborious tape roll changeovers that slow production, place unneeded stress on operators and keep lines from running at peak production. When uptime matters, the Quick Change Sealing System gets the job done in seconds, and delivers the same secure seal you demand. Time To Upgrade Your Automatic Tape Applicators? See if ShurSEAL Packaging Solutions are right for you. Our team will demonstrate how ShurSEAL® Packaging Solutions can deliver secure seals and cost savings.